Earlier, a taxpayer can verify their tax return either by using Digitally Signed Certificate (DSC) or by sending signed ITR-V copy to Income Tax Department, CPC. With the introduction of e-verification process, assessee is not required to send income tax return acknowledgment copy or ITR-V to CPC, Bangalore after e-filing if e-verification is done successfully. Income tax return filing process will not be completed if you have not successfully verified your tax return by using either of the above verification process. In this post let us understand, what is Electronic verification Code or EVC? 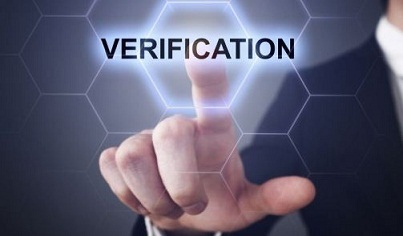 How e-verification is done online? How to generate EVC? How to link Aadhar number to PAN and generate EVC? What are the different method of generating EVC and e-verify to file tax return? As per Rule 12 vide Notification No. 41/2015, Income Tax department has introduced e-Verification of returns as an alternate for ITR-V. Taxpayers who are not mandated to use DSC are eligible for e-Verification. This new process will save the requirement of sending signed hard copy of the return to the income tax office. Your income tax return can be verified by Generating electronic verification code or EVC. EVC is a unique 10 digit alphanumeric code which can be generated through e-Filing portal and is valid for 72 hours per tax return filed online. This means, if you revise your tax return then another EVC is required to be generated. On successful e-verification, the EVC generated will get printed on your acknowledgement. This is the easiest method to e-verify income tax return. This option would be available for taxpayers whose Total income is less than equal to Rs. 5 Lakh and Refund/Tax payable is less than equal to Rs. 100. If you select this option then EVC will be sent to your mobile number and email ID which can be entered in to complete the process. Before choosing this option, assessee’s aadhar card and PAN must be linked. If it’s not linked then assessee will be displayed a screen to link it. By clicking on Link Aadhaar option, taxpayer will be redirected to Link Aadhaar Page under Profile Settings option to enter the Aadhaar Number to link Aadhaar to PAN. If taxpayer’s PAN and Aadhaar are linked then a pop up screen will be displayed to enter the EVC. EVC generate will be sent to the mobile number registered with Aadhar. Assessee need to enter that EVC and click on submit button to complete the process. Assessee is required to pre-validate his Bank Account Number before generating EVC. To generate EVC, click on “EVC – Through Bank Account Number”. If the bank account number is not pre-validated then you will be displayed a screen asking you to select the option of “pre-validate your account number”. By selecting that option you will be displayed a screen to enter bank account number, name IFSC, Mobile number and email ID against your name and PAN. On Pre-validation, the success page appears. If it’s successfully validated then EVC will be sent to the mobile number. That particular EVC is to be entered to e-verify income tax return. Before choosing this option, you need to have internet banking login ID and Password of a bank which is approved by tax department. At present, banks like Axis Bank, Bank of India, Bank of Baroda and certain other banks are approved. After selecting this option, you will be displayed with the steps to generate EVC. Assessee need to select continue. By selecting continue option, assessee will be taken out of the e-filing portal to the net banking options available to him. Now select your preferred bank option to login to e-filing portal through net banking. After assessee’s login, option will be displayed to e-verify. Click on “e-Verify” link and then confirm by selecting continue tab. To generate “EVC – Through Demat Account Number”, the Demat account details must be pre-validated. By selecting “EVC – Through Demat Account Number” option, you will be displayed with a screen to pre-validate your demat account if it’s not validated earlier. By clicking on “Pre-validate your Demat Account”, you will have option to enter Depository type, DP ID, Client ID, Mobile Number and Email ID against the PAN and name of assessee. On Pre-validation, the success page appears. If it’s pre-validated successfully then EVC will be sent to the mobile number which can be used to e-verify income tax return. On the last screen, you need to enter the EVC and click on submit button to complete the process. After swiping the ATM card and entering ATM PIN, the users are provided with an extra option of “PIN FOR INCOME TAX FILING”. By selecting that option, assessee will receive EVC to the registered mobile number and e-mail ID. Now, with the EVC, assessee can upload the IT return. After uploading, assessee needs to select “I already have an EVC to e-Verify my return”. By selecting this option, assessee will be asked to enter the received EVC. After entering the EVC, assessee need to click on submit to complete the process. If assessee cannot opt for any of the e-verify option then as a last resort, he need to select “I would like to send ITR-V/ I would like to e-Verify later”. By selecting it, assessee will have the option to download ITR-V, sign it manually and send it to Central Processing Center (CPC), Bengaluru through post within the time limit of 120 days from date of upload for your return to be treated as a valid return.